It’s not the first time we’re seeing something like this happen, but once again, there are going to be some very happy developers out there thanks simply to T-Mobile. Previously, we saw T-Mobile giving discounts on the BlackBerry Bold 9900 to developers, which brought its price down to $199.99 with a 2-year contract – as opposed to the $299.99 that it’s normally sporting. 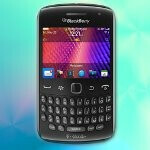 Well, we’re seeing the same thing, however, it’s the BlackBerry Curve 9360 that’s getting the special discounted price. Intently thinking about it, there’s no denying that the $79.99 Curve 9360 is already an affordable model, but with T-Mobile’s deal to developers, it’s reduced all the way down to the easy to swallow price of free after a $50 mail-in-rebate – albeit, you’re required to sign a 2-year contract with it. Nonetheless, it’s a great deal if you happen to be a developer and looking to pick up some sort of BlackBerry smartphone. Sweetening the deal, T-Mobile is also waiving the activations and offering free shipping with the purchase – so you really can’t beat that offer! WOW what a deal......NOT! They should be paying developers to use this phone on a contract! !